My thoughts: I love contemporary romances, and this one was a pleasant and fun read. A competition between a girly-girl and a man's man--who will come out on top. RIVAL HEARTS made me smile, and I had to keep reading to see who would come out on top. I've never read any of Ms. Randel's books before, but I will definitely look up her previous books. Great, fun read. Definitely one of the best Quilts of Love books I've read. Learn more about this book and the series at the Quilts of Lovewebsite. Tara Randel is the author of five romance novels includingLasting Love, Melody of Love, and This Time Love. A member of ACFW, Tara is also the lead author of the new Annie's Mysteries series (see AnniesMysteries.com). Tara lives in New Port Richey, Florida. Wynne Hardy sends in a tape for the new reality TV show, The Rejection Connection. She’s still not healed from her ended relationship with her high school and college sweetheart, Callum Royce. To Wynne’s surprise she's selected as the star of this new bachelor-like show where she gets the opportunity to mend her broken heart and find love again. She chooses Andy Baker, and before she knows it they're planning an elaborate wedding. How much of the show was really reality though? How well does she know Andy? And what should she do when Callum wants to meet with her before the wedding? Sigh of disappointment. I loved A December Bride. The A Year of Weddings series has gone down since then. But despite that, I'm not ready to throw in the towel. 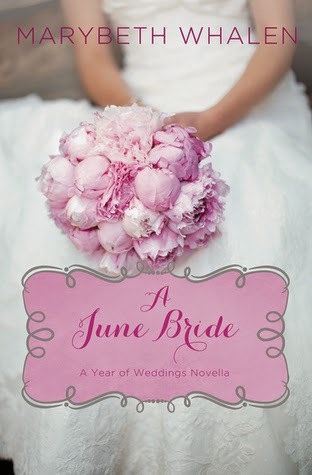 I will request A July Bride if it is offered to me for review (by Booklook) after they see this review. But when Elin begins having violent flashbacks---and vivid dreams of being strangled---she realizes that she has been the recipient of more than just a new heart . . . Elin is remembering her donor's murder. Her strange affliction has attracted some unwanted attention: from the press, from the authorities . . . and from the killer himself. Now, living alone with her young daughter and aging mother, Elin is being stalked---by a man she's only met in her nightmares. Now, in a remote cottage on Hope Island, Elin and Marc must probe the secrets buried in her borrowed heart. And there's no time to waste. One man is desperate to silence her---before she remembers too much. My thoughts: SEAGRASS PIER starts out chilling, and with little break stays that way most of the way through. I enjoy Ms. Coble's books, she's one of my top three favorite authors in the romantic suspense genre. I did figure out who the killer was as soon as he walked into the pages of the books. But that didn't ruin the story for me. I felt sorry for Elin, trying to balance a mother with dementia, a killer stalking her, and her daughter's father showing up out of nowhere all at once. It's a lot for any woman to deal with, even if she wasn't suffering from nightly visions about the murder of the woman who donated her heart. If you love romantic suspense, you will definately want to read SEAGRASS PIER. A great read. Talon: On the Wing / Giveaway! Leave a comment there, you get another chance to win. Matica is finally accepted into the community because of an incredible event. The people from the village love to see her with Talon and demand she tell them everything her incredible adventures with the condors. The scores of adventures with her beloved Talon help Matica to heal and gain confidence in herself, and the people in her life. TALON: ON THE WING starts out rather exciting. Matica is flying on the back of a Condor. Unfortunately, it turns out to just be a dream, but... maybe it will become reality. I enjoyed watching Matica learn confidence in herself and become more comfortable and accepted around the others in her village. The book still has head-hopping issues, but most young readers won't mind that. I found the four-year-old brother's speech quite advanced... but he may just be a genius. 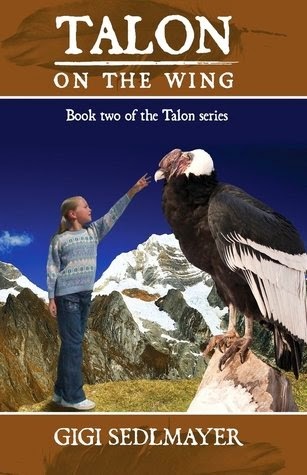 Avid young readers would enjoy reading TALON: ON THE WING, and learning more about Condors, missionary work in a small Peruvian village, and a girl with a handicap. All June Callaway wants is a simpler life and healing from a tragedy when she moves from Atlanta to the charming town of Toccoa near historic Currahee Mountain. However, her discovery of a mystery-laden treasure with a World War II connection makes her life even more complicated and threatens to waken a fear that would take her back down a road of heartache and grief. Colorful town characters help her along and the mountain itself bestows an unimaginable gift on her, but will she be able to push past her fear and solve the mystery in time? Can she as the stranger suggested, "do it afraid"? A story of faith and humor, the characters of Home to Currahee will win your heart. 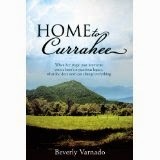 I thoroughly enjoyed reading HOME TO CURRAHEE. June is a strong older woman, moving to a new location, buying a house and facing all those challenges as a new widow. She was blessed with awesome neighbors, a houseful of history, and supportive kids--which means a lot. I was confused at first with the prologue about Silas, a paratrooper during WWII, and then the time changed to present time. I wondered what Silas had to do with the story--but Ms. Varnado worked that through in great way. HOME TO CURRAHEE does have a bit of a mystery in it, but it isn't scary. It is more of a cozy mystery mixed in with women's fiction. I greatly enjoyed this book and can't wait to read more by Ms. Varnado. Don't miss HOME TO CURRAHEE. $8.99 kindle. $14.42 paperback. 272 pages. Scripture teaches time and again that when we are at our weakest, then we are strong. Because it is in those moments of absolute surrender that the King of the universe can fully have His way with us. What is left unsaid, or is at least tacitly ignored, is the converse of that statement; “When I am strong – in my own strength, in my own will, in my own agenda – that is when I am at my most vulnerable.” And that “strength” usually arrives at the awards ceremony. You know, when you’ve beaten the competition, when you’ve reached (exceeded?) your goal, when you’ve crossed the final hurdle and are basking in the warmth of well-wishers and accolades. The Warriors Riding are indeed, riding – riding the crest of the latest success in their spiritual battles. Yet, as in all types of warfare, there are casualties. The Song, Brandon Scott, sacrificed his most powerful, most personal part of his being – his voice – for The Leader. Now, with nothing to sing about, he is on the ropes. And on the edge of returning his Membership Card for The Warriors Riding. However, The Temple – Reece Roth – has discerned that The Song is critical in the next spiritual engagement. He just hasn’t discerned whether Brandon will ever return. 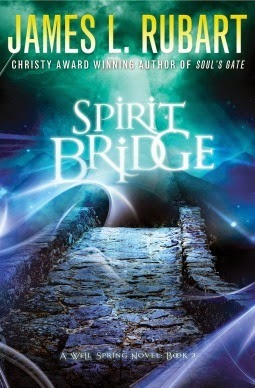 The street-magician Simon is racing to remember his past before his ignorance obliterates his destiny, And Miyo, a brash young warrior with advanced knowledge of spiritual realities and supernatural armor even Reece doesn’t know about, will be pivotal in the final war against The Warriors Riding. If only the Warriors knew which side Simon and Miyo were truly on. Nothing good ever happens after dark. Those were the words country singer Daleigh McDermott’s father always repeated. Now her father is dead, and Daleigh fears she’s returned home too late to make things right. As she’s about to flee back to Nashville, she finds a hidden journal belonging to her father. His words hint that his death was no accident. Small town mechanic Ryan Shields is the only one who seems to believe that Daleigh may be on to something. Her father trusted the man, but Daleigh’s instant attraction to Ryan scares her. She knows her life and career, however dwindling it might be, are back in Nashville and that her time in the sleepy North Carolina town is only temporary. As Daleigh and Ryan work to unravel the mystery, it becomes obvious that someone wants them dead. They must rely on each other—and on God—if they hope to make it home before the darkness swallows them whole. 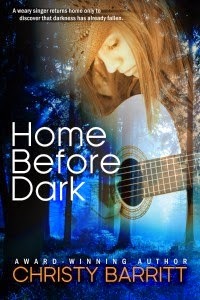 HOME BEFORE DARK is a different sort of romantic suspense than Ms. Barritt’s Love Inspired Suspense stories. It isn’t as … nonstop action. The story starts slow, and kind of sad, with Daleigh home for her dad’s funeral. Natural causes—she was told. But his journal hints that it might’ve been more. When Daleigh and Ryan start to investigate, it soon appears her dad really was murdered, and that the murderer wants them dead. Ryan is a auto mechanic—not a police officer, FBI agent, or ex-military hero, so that was a pleasant twist. Amazon adds this line -- Home Before Dark offers a blend of Nicholas Sparks meets Mary Higgins Clark, a mix of charming small town life in North Carolina tangled in a gripping suspense. I have never read either Nicholas Sparks or Mary Higgins Clark, so I can’t disagree or agree. But I have read Ms. Barritt’s other romantic suspenses and other authors’. This one—is different, but just as good. I did figure out who did it as soon as it was revealed, but that didn’t ruin the story. 4 stars. $8.99 paperback. $2.99 kindle. 266 pages. refugee ship, Elisa will face the greatest trial of her life…. 320 pages. Available on kindle for $7.69. Out of print, but can get print copies from other vendors. The Thoene’s have written over fifty works of historical fiction. These best sellers have sold more than twenty million copies and won eight ECPA Gold Medallion Awards. In their timeless classic series about Israel (The Zion Chronicles, The Zion Covenant, and The Zion Legacy), the Thoenes’ love for both story and research shines. In 2008, their book Vienna Prelude, was a finalist in two categories for the Audieaudio book award. 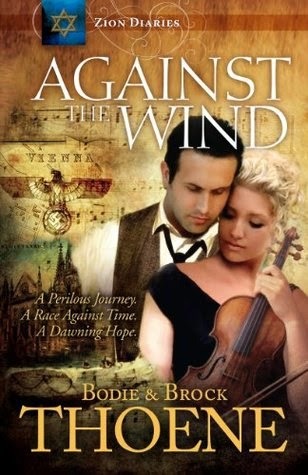 Prague Counterpoint was the 2009 AudieAward winner for Most Inspirational Audio book of the Year. Now she discovers it may have been murder. . .
Dreaming of a better life, Tillie McGrath leaves Ireland behind and, with her beloved fiancé by her side, sets sail for America. But when illness robs her of the man she holds dear, she's left alone with only a handful of tattered memories. While forging on proves difficult, Tillie soon finds some new friends at her New York boardinghouse, and begins pursuing a new dream--to open a home for orphaned children. Despite two years passing, Captain Keondric Morgan has never forgotten the lass who left his ship so heartbroken. When a crewman's deathbed confession reveals her fiancé’s demise was the result of murder, the captain knows he must try to contact her. But his attention draws the notice of others as well--dangerous men who believe Tillie has in her possession something that could expose their crimes. And to their way of thinking, the best way to prevent such an outcome is to seize the evidence and then hand Tillie the same fate as her naïve fiancé. TIDE AND TEMPEST is the third book in the Edge of Freedom series by Elizabeth Ludwig. This book does stand alone, but fans will want to read No Safe Harbor and Dark Road Home to get the first part of the story. I enjoyed reading TIDE AND TEMPEST and getting to know Keondric and Tillie. The language was rather formal but probably true to the culture and time period. 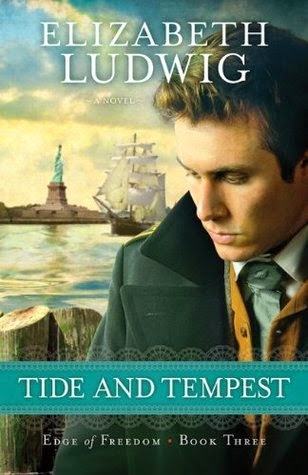 Fans of Ms. Ludwig, or historical suspense will love TIDE AND TEMPEST. $14.99. 363 pages. 4 stars. Nine year old Matica lives in a remote village on a dry plateau in the Andes of Peru with her Australian missionary and schoolteacher parents. Matica has a growth handicap and is trapped in the body of a two year old, causing her to be rejected by the local people, who do not allow her to play with their children. With patience and a sense of adventure, Matica befriends a pair of condors. A strong bond and love develops between them. She rescues the egg the condors, Tamo and Tima, are trying to protect from poachers and nurtures it to hatching. The egg hatches on her 10th birthday. She names the new fledging Talon. 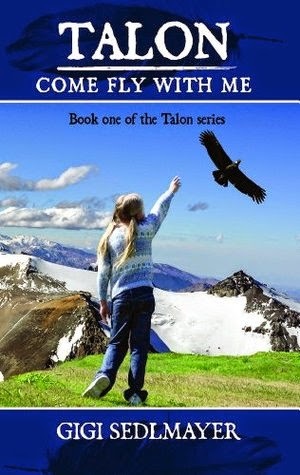 I don't even know how to begin with my thoughts about TALON: COME FLY WITH ME. There is a lot of telling, and "head-hopping". There is also passive writing. But it is also engaging and gripping. The story is about a missionary's daughter who is considered "possessed by evil spirits" because she has growth problems, so no one will befriend her--except an unlikely pair of condors. It is sweet the way she befriends and protects the condors--who are endangered--and care for their egg (then baby) so it will be protected from poachers. The book says on the back cover it's for children. I think maybe she means tweeners? I'm not sure. Younger kids would struggle to read it and it's too long for a bed-time story book. Older kids and adults might be interested in reading it, especially if they have an interest in the setting, birds, or missionary children. It was a good read--from a reader's point of view. This is the first book of four in the epic adventure series Talon. $4.95 Kindle, $18.95 paperback. 187 pages. Gisela (Gigi) Sedlmayer was born in Potsdam, a suburb of Berlin in Germany. Running from a messy, dangerous past, Tandi never expects to find more than a temporary hiding place within Iola's walls, but everything changes with the discovery of eighty-one carefully decorated prayer boxes, one for each year, spanning from Iola's youth to her last days. Hidden in the boxes is the story of a lifetime, written on random bits of paper--the hopes and wishes, fears and thoughts of an unassuming but complex woman passing through the seasons of an extraordinary, unsung life filled with journeys of faith, observations on love, and one final lesson that could change everything. Tandi is struggling, two children she doesn't know how to handle, a string of bad relationships, and a result of that, a healthy fear of strangers. Readers and fans of Ms. Wingate will root for Tandi, hoping she can find her footing, herself, and a future with a hope instead of more broken promises and shattered dreams. 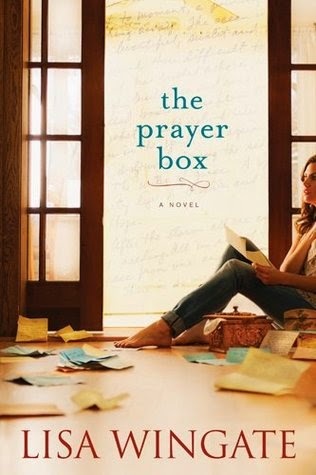 If you like women's fiction, don't miss THE PRAYER BOX. There is a hint of romance as well. $15.99. 386 pages. 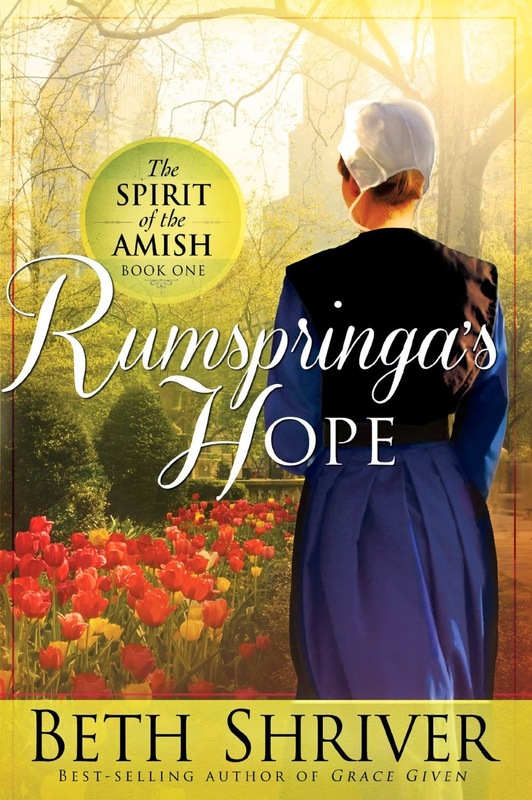 With her love for all things old-fashioned, Jennifer Burns has often been told she's an 'old soul'; but no one is prepared for the young woman's decision to set aside her modern life in favor of the Old Order Amish world. Yet Jenny does exactly that, adopting Plain dress and settling in with Samuel and Rebecca Lapp while she works as a mother's helper for the bishop's wife--a far cry from her former job as an x-ray technician. The people of Hickory Hollow are curious about the beautiful young seeker among them, one handsome Amishman in particular. But he is not the only man vying for Jenny's affections, and Jenny faces many challenges in the Proving time the brethren have set for her. . .challenges of the heart, as well as the spirit. 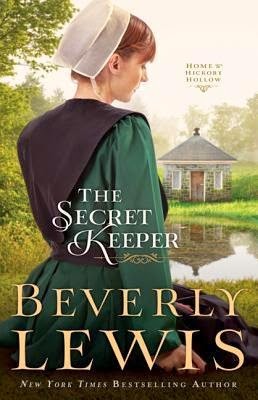 THE SECRET KEEPER is the fourth book in the Home to Hickory Hollow series, but it easily stands alone. In addition to being part of this series, THE SECRET KEEPER also follows Katie Lapp from The Shunning and that series that have grabbed readers and movie watcher's hearts from the book and movie of the same name. I enjoyed getting to know Jenny, and her struggle to become plain. It was interesting to see this take on the Amish life. She moved in with Rebecca Lapp (Katie's Mamm) and into Katie's old bedroom and started interacting with her relatives. A really sweet story, more of a women's fiction than a romance, though there is a clear romantic interest, and to be honest, I couldn't help but fall in love with Andrew myself! Fans of Amish fiction will definitely want to read this book by the queen of Amish fiction, Beverly Lewis. THE SECRET KEEPER is a great book. Highly recommended. $14.99. 346 pages. 5 stars. Will is back at Eagle Ridge, but this time he’s finished with Vet school and ready to take on the world. There’s the girl he wants and birds to save and everything is rosy. Until he learns his school loans are coming due, his dad won’t help with bills, and the electric company is threatening to shut off power. And the girl—she’s nowhere to be found. Will Will learn to trust God and not trust himself? Does God even have a plan? What if Plan A fails and Plan B is nowhere to be found? This was a short enovella – which is why I picked it up to read today. Short and sweet and de-stressing. In Ms. Fisher’s signature style, the story is engaging, gripping, heart-felt, and totally lovely. I thoroughly enjoyed THE RESCUE. It is short – but I knew that. And like a taste of a forbidden sweet, oh, so good. Don’t miss THE RESCUE. $1.99. 55 pages. Nineteen-year-old Amish teenager Stella Sommer works on her family farm near Ephrata, Pennsylvania, raising sheep, spinning wool, and making cheese for sale. Happy in her Amish family’s life, Stella hasn’t met anyone she’s romantically interested in since they moved to Ephrata over a year ago. She’s industrious, bright, and a devout Christian who dreams of a marriage as secure as her parents’. Everything is turned upside down, though, when Stella meets two men – one who may test her faith, and another who is everything she is supposed to be looking for. What will Stella decide? 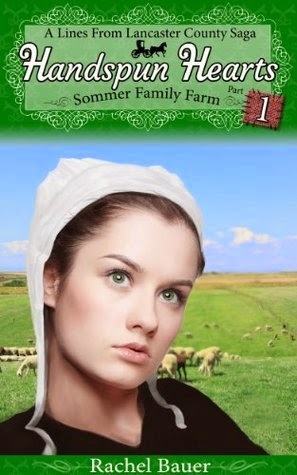 Will she stay true to her Amish roots, or will she venture out into the world? Will she follow the path that God has planned for her? HANDSPUN HEARTS is part one of a serial story that some self-published writers are doing to make more money. At virtually $3.00 a story by the time they write six parts of the book they’re getting $18.00 for it. A rip-off. (I am not saying there are six parts in this serial. I don't know how many are planned.) Not only that, but part 1 of the serial is poorly written with typos, point of view glitches, and way too much back story. Plus she slams other Amish authors. Does Ms. Bauer think she’s the only one who writes it correctly? The parts about how wool is dyed is interesting, as is the information about making cheese. If you like serial stories and unfinished, poorly written books, then you might enjoy HANDSPUN HEARTS. 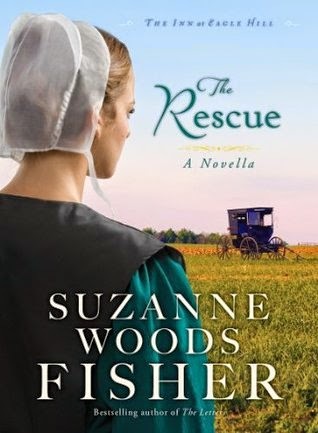 As an avid fan of Amish fiction, I “bought” this when it was offered as a free hook to draw the reader in. I won’t be reading anymore of Ms. Bauer's stories. 108 pages. $2.99. Four best-­selling romance novelists bring tales of feisty heroines, stubborn heroes, and unlikely love in the Wild West. Get lost in FOUR WEDDINGS AND A KISS today. Maizy MacGregor is an unruly tomboy. When she causes an accident, injuring neighbor Rylan Carstens, she becomes his unlikely caregiver. Rylan has never noticed how pretty his infuriating neighbor is, and he never expected to fall in love. I thoroughly enjoyed getting to know Maizy and Rylan. I didn't like his judgmental attitude so much, but most men back then did have preconceived ideas about women and what they could and couldn't do. I was glad Maizy could stand her ground and give as good as she got. Molly Everton is the outspoken daughter of the town newspaper's owner. When her father brings in an outsider to be editor, she tries to drive him out of town. But Jack Ludgrove is not intimidated. He's resolved to change Molly's mind about him--as an editor and as a man. Molly is an old maid and has spurned several suitors in town. Her father needs a new editor and she hoped for the job, but her father told her she was too offensive, but not why. Jack wants an adventure and a strong-willed woman is amusing to him. He enjoys teasing her... It was fun watching this romance develop. Katie Pearl is uninterested in men and love. But she needs help on her ranch and hires Treb Rayburn, a wandering cowboy looking to make a buck. Will Treb change Katie's mind? As far as I know A COWBOY FOR KATIE is Ms. Clopton's first historical. I love her contemporary cowboy stories she's written for Love Inspired, and am so happy to see her have a spot in this novella collection with this wonderful group of historical/western/cowboy writers. I enjoyed getting to know Katie, and Treb is just a plain sweetheart. I couldn't help but fall in love with him. This was a great story. Grace Davenport is either the unluckiest woman alive--or a killer. When her third husband is found dead, Grace is arrested. Attorney Brock Daniels isn't interested in the case--until he meets Grace. Only a miracle will prove her innocence, but the joining of two lonely hearts may be their saving grace. Courting Trouble was totally different than anything I've read before. It is innovative, fresh, unique storytelling at it's best. Grace starts the story out in jail, and Brock doesn't want anything to do with criminal law. Plus he's a city-slicker in a town full of drunks. What hope do the two of them have in proving Grace's innocence when everyone believes she is guilty? 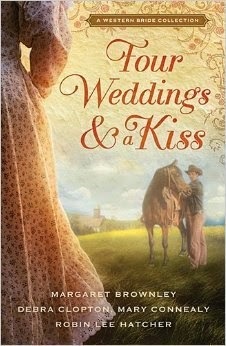 FOUR WEDDINGS AND A KISS is written by some of my favorite historical and cowboy writers. Mary, Margaret, Debra and Robin. All four have strong feisty heroines and a quick story line that will draw you in and keep you hooked from the beginning to end. Not heavy reads, and with four stories in one book, it’s easy to read one, set the book down to do something and come back and read another. Beth Shriver is the author of over a dozen books, including Annie’s Truth, Healing Grace, and Grace Given. She received a degree in social work from the University of Nebraska and was a caseworker before starting a family. She followed her passion and now writes full-time. 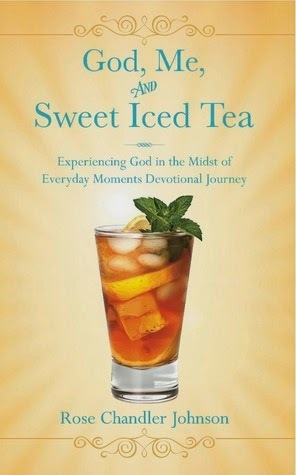 If you are looking for a devotional that is more than just a thought but less than a full-fledged study, then GOD, ME AND SWEET ICED TEA is one to consider. Only $2.99 on kindle. $11.95 paperback. 169 pages. 5 stars. Beloved Christian fiction authors Lori Copeland and Virginia Smith team up once more in the second volume of the Seattle Brides series. A gripping story of love, tenderness, and survival in the rugged Pacific Northwest. 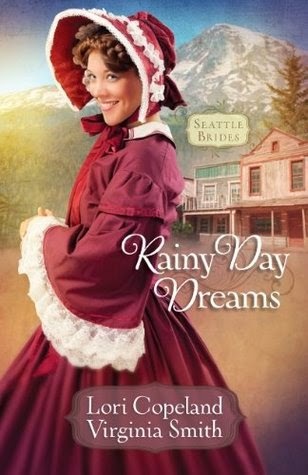 RAINY DAY DREAMS is book two in the Seattle Brides series, but it easily stands alone. Four years has passed since the first book in the series A Bride for Noah, and Seattle has built up some and is under some attacks from Indians. Kathryn is arrogant, rude, and overbearing as the story begins, and the hero, Jason is the usual sweetheart of a hero for romance novels. He has some secrets, and works hard whereas Kathryn believes herself above her circumstances and is determined to be difficult. I couldn't connect with her at all, and I wondered what on earth Jason saw in her. In Copeland's and Smith's trademark style, the setting of pioneer days Seattle came to life. I could feel the soggy, rainy weather, and see the mud. Even the rooms were beautifully described down to the supply closet Kathryn was given as a room. Fans of historicals, early settlements, and the Copeland/Smith writing dynamo will love RAINY DAY DREAMS. RAPTOR 6 | Kindle HDX Giveaway! The heart doesn’t choose an appropriate moment to stake its claim. That much Captain Dean “Raptor Six” Watters finds out in one big hurry. He and his team are situated in an area where tensions are high, and millions of lives hang in the balance. Ten military super-secure computers have “gone missing,” and the military intelligence contained in their memories is close to being on the open-market. Zahrah Zarrick, a missionary teacher to Afghan children, is the unwitting key to this modern-day Pandora’s Box. While her heart is on her sleeve for the children she’s teaching, her expertise in quantum cryptology makes her the prime target for the hackers who are committed to the downfall of the United States. Raptor Six and his team are playing catch-up, as Zahrah disappears before they can make contact. With the clock ticking, Dean is finally coming to grips with the stakes that are at hand in this game – and the fact that his heart is “all in” just makes this one hand he cannot afford to lose. Ronie Kendig writes with a passion for Special Forces and their cause without reservation or apology. While some of the foreign language words and phrases are difficult to grasp at first, and with no a glossary dedicated only to military terminology and acronymns, it was a bit difficult for me to get a handle on some of the communication. However, the context eventually sorted it out for me; it just takes a little work. Which compels the dedicated reader that much further into the book. With Ronie Kendig at the helm – is this really a bad thing? 5 stars for Special Ops action, suspense and a passion for others by Ronie Kendig! Ronie Kendig is an award-winning, bestselling author who grew up an Army brat. After twenty-plus years of marriage, she and her hunky hero husband have a full life with four children and a Maltese Menace in northern Virginia. Author and speaker, Ronie loves engaging readers through her Rapid-Fire Fiction. Ronie can be found atwww.roniekendig.com and onFacebook, Twitter, and Goodreads.